There are some cars we don’t expect to see them in the middle of tuning fever. It simply because of their size, design and usage isn’t very suitable for this branch of automotive industry. But real tuning enthusiasts often surprise us and build a car that can be really innovative and attractive. These times of only tuned saloons or coupes are definitely gone and now doors are open also for other categories. A German tuning company Hartmann-Tuning has came with good and unusual idea of bold tuning of Mercedes-Benz Sprinter. Many car manufacturers are producing cars with big space as the first priority. These vehicles are used to carry big amounts of various material or transporting people. 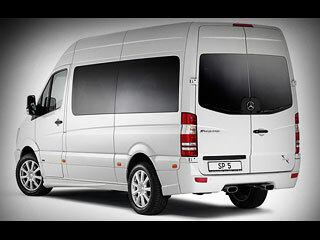 Also the Sprinter by Mercedes-Benz is one of these cars. Mercedes-Benz offers more bodies, but we’re focused on its Traveliner version. Its name is very characteristic – people are its priority. 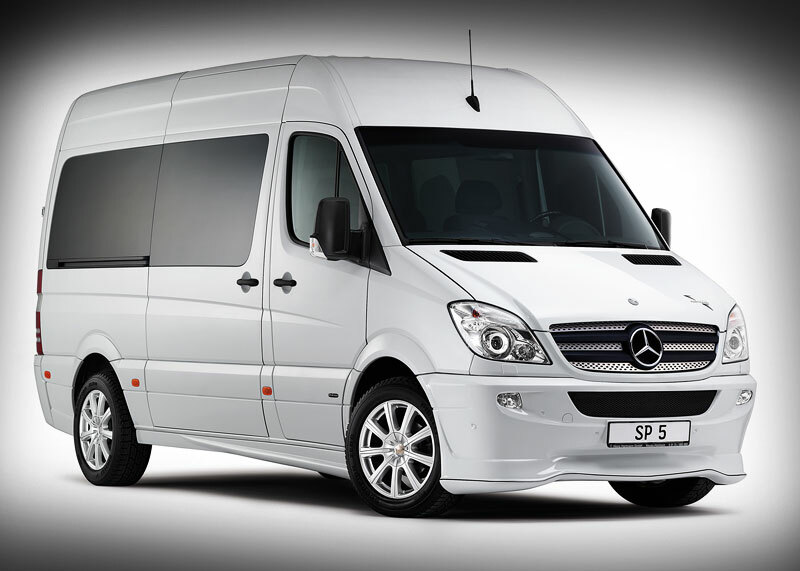 The Sprinter isn’t only some spiritless box car, but it has everything what we expect from a normal passenger vehicle. So it’s technologically up-to-date and modern car with comfortable interior, quality and powerful engines cooperating with safety features as ABS or ESP. Honestly, it looks good too. Also its engine offer is very pleasant. Do you think that vans have to be always lazy and slow? Be prepared to fight this bulky man or you can be disappointed. The most powerful aggregate here is a 3.5 liter V6 turbocharged petrol. Isn’t enough? And what about some values such as 258hp at 5900rpm and 340Nm of torque at 2500-5000rpm. 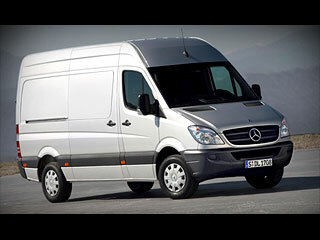 This can beat some of saloon machos on the road, but don’t forget about the Sprinter’s 2300kgs. This project by the German company Hartmann-Tuning is very unusual and rare, but then more interesting. What’s better for an employer as driving in so beautiful and spacious car? :) The tuner did some design improvements, but didn’t miss the engine. The front part has a simple, but big front bumper with nice shape of its bottom. So it includes a pair of side spoilers and central rounded part. The bumper’s front part has one elongated opening with a pair of additional lights. It’s shaped to correspond the rounded parts of the car’s whole body. Side sills are other parts of this massive car. Yes, also vans can have sporting side sills. They’re very simple, but useful – nothing fancy and expressive, but boost the van’s style. The rear part has not very distinctive bumper that is used also as a loading platform. It has perfect shapes and two chromed exhaust tips looks amazing. And tinted glass is doing their job well. Design of wheels is very important for the car’s image. Rims are making the car, and it this care it’s true. The Sprinter wears 19“ light-alloy Kagen rims with 255/55 R19 tires. Never-ending fun is provided by lowered height and tougher springs. Hartmann-Tuning also promises the engine improvements, but we don’t know any details. An owner of Mercedes-Benz’s car has to feel like a king and need to be pleased by quality and catchy materials. And it doesn’t matter if he seats in a luxurious flagship, or a van. Everything has to be luxurious. Hartmann-Tuning prepared a real hi-class parade in its interior. It offers various materials that can be found from the dashboard to doorknobs – dark carbon, two types of wood, chrome and aluminum. It’s up to you. The interior involves also luxurious rugs with tuner’s badge, stylish steps and sporting steering-wheel with carbon parts. Your opinion about Mercedes Sprinter SP5 by Hartmann-Tuning?